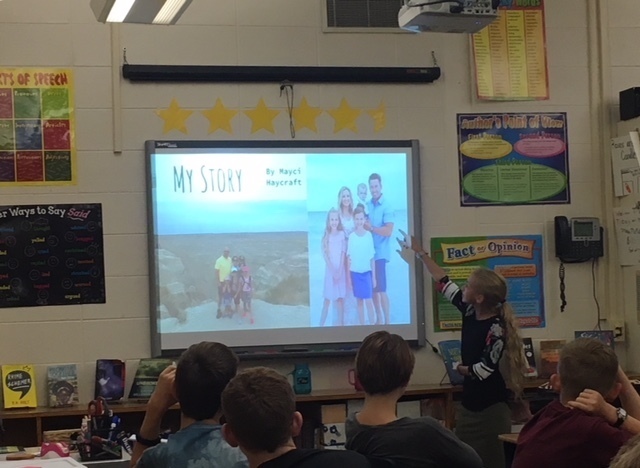 Over the past three days, 7th grade students in Mrs. Hembra's English II classes have been presenting 'My Story' projects during class. 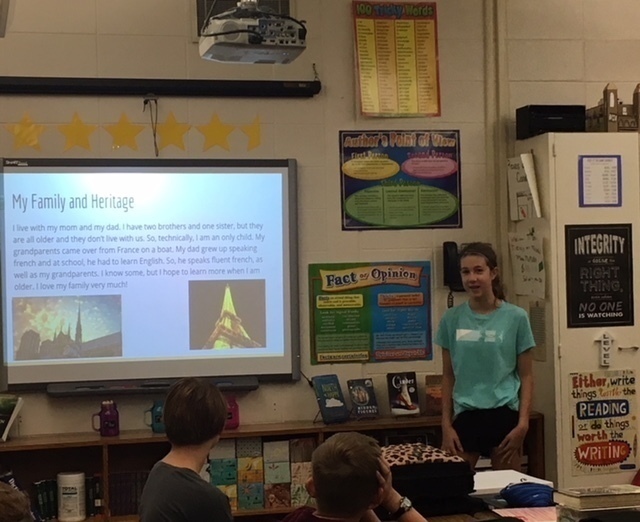 Intended as an activity for students to share what is important to them, this project gave students a chance to tell their own stories. 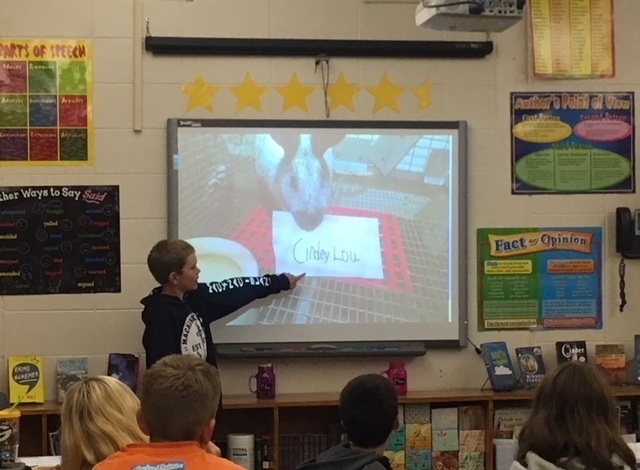 Students were given the choice of what to share, as well as how to share it. Popular formats for projects included slideshows, posters, and even a couple of videos. It was fun to see the students showcase their unique interests and talents!